Apple relaxed App Store approval guidelines making it easier for software developers to make applications for the iPhone, iPad, and iPod touch. In a surprise statement released Thursday Apple said it would allow developers to use Adobe's Flash program to create apps for its iOS devices such as the iPhone. Apple also said it would be more transparent about its App Store approval process. Apple's App Store approval policy has dumbfounded mobile app developers for years. Many software developers have complained that Apple has mysterious denied their apps from inclusion in the iTunes App Store or griped that their iPhone app was abruptly removed with little to no explanation as to why. Application developers were angry because the restrictions limited their ability to use other software development tools, such as those made by Adobe, that would allow for cross-platform development of mobile games and applications. Using Adobe's tools, for example, would mean a game developer would be able to publish once a game that runs on Apple's iOS, Flash, Java, or the Android OS. 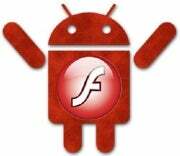 Android's latest update, 2.2, runs a version of Flash and is already available in phones such as the Droid Incredible. It's unclear to what extent Apple has loosened the guidelines on what tools developers can use. But the move is a clear sign Apple is softening its hard-line stance.